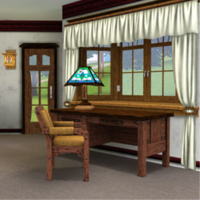 The Sims 3™ Monte Vista can be purchased as a part of the exclusive Monte Vista SimPoint Bundle. 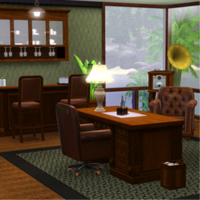 A $35 Simpoint Bundle is available! 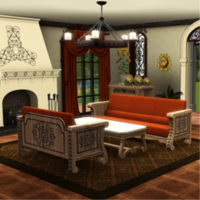 Includes 1900 Simpoints + Monte Vista! At Monte Vista you can discover a landscape rich with charm and money, where villas featuring sweeping views dot the gently rolling hills. Explore the vibrant community by visiting renowned museums, taking a stroll across the piazza, or learning the culinary arts on an authentic wood-fire oven. 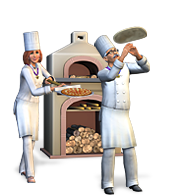 Fill your Sims’ homes with the smell of fresh-baked pizzas, calzones, lasagnas and breads. 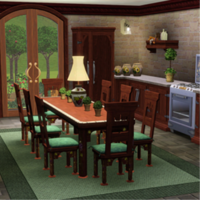 Will your Sims find the inspiration to fuel their culinary fires? 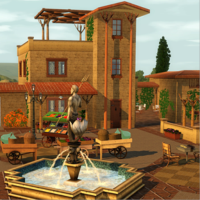 All new Monte Vista items! I know what you’re thinking. What does a dead guy know about baking? This dead guy knows it all. 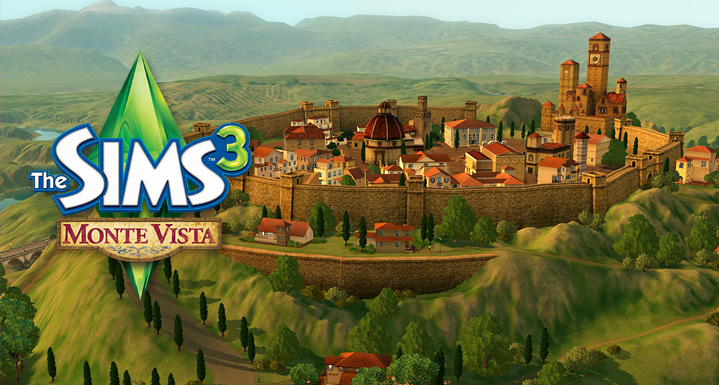 I’m Valentine Monty and the Montys have been a part of Monte Vista for as long as anyone can remember. Now that I’ve gotten my second chance I’m giving you all of the “to die for” Monty dishes in my new series: Recipes from the Beyond! 1. Pull a lump of lightly-oiled dough from your refrigerator. 3. Toss the dough in the air to achieve perfect flatness and perfect lift. 4. When the dough is flat, sprinkle it with “Monte Vista Magic Seasonings”. This invisible magic seasoning is a MUST for any wood fire oven recipe. 5. Once properly sprinkled use the paddle to place the pizza in the Wood Fire Oven. Safety First! 6. Cook until nice and toasty. What about the cheese and tomatoes you ask? What did you think we were doing with all of that sprinkling? When your pizza comes out of the oven, the toppings will be perfectly arranged making for a *perfect* pizza margherita. That’s it from me. Until next time, Buonasera!